Whatsapp is commonly used by millions of people around the world for talking and messaging their loved ones. As it is used frequently for communication, there must be some important conversations that you want to keep forever. Here you will have various options to export WhatsApp chat from iPhone. Keep reading. Now, you can directly export WhatsApp chat from your phone to the computer and view them whenever needed. The best way to export the WhatsApp chat is using an advanced tool called iMyFone D-Back. Using this software, you can easily export all kinds of data in your iPhone. You can export WhatsApp chats from iPhone without affecting your current data and backups. It supports 18+ types of data including WhatsApp messages/photos/video/audios. It allows you to selectively export what you need. All the iPhone, iPad and iPod touch are supported running on any iOS version. 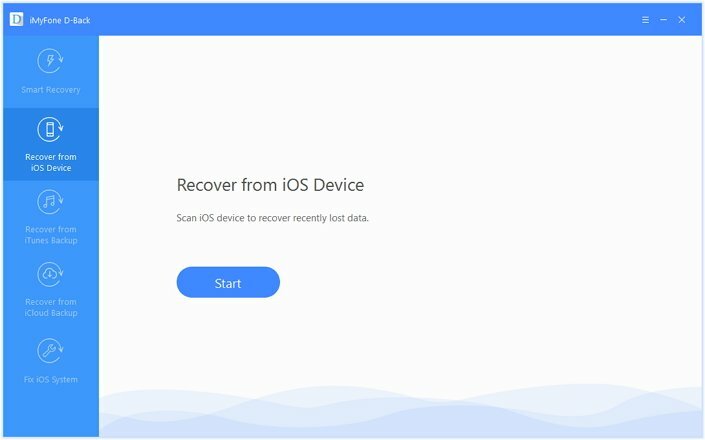 Step 1.Open the iMyFone D-Back and select “Recover from iOS Device”. Click “Start”. Step 2.Connect your iPhone to computer. 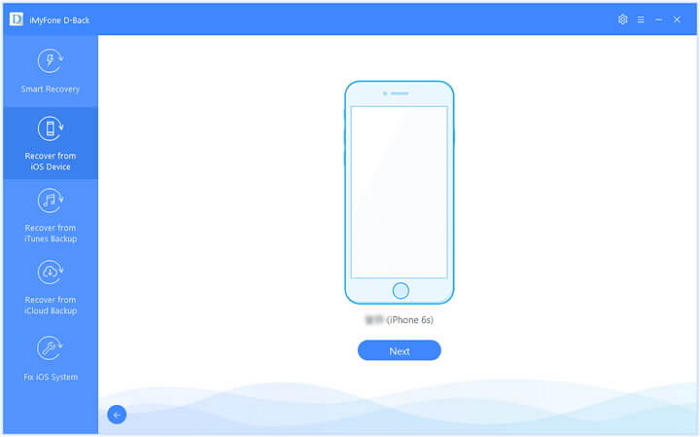 The software will automatically detect the phone. Click “Next”. Step 3. All the files types that can be recovered will be displayed. Select “WhatsApp” under Third Party IM App and click “Scan”. Step 4.When the scan is completed, all the WhatsApp data will be displayed. Select the chats and attachments that you want to export to the computer. Click “Recover”. With this, all your WhatsApp data will be stored on computer. 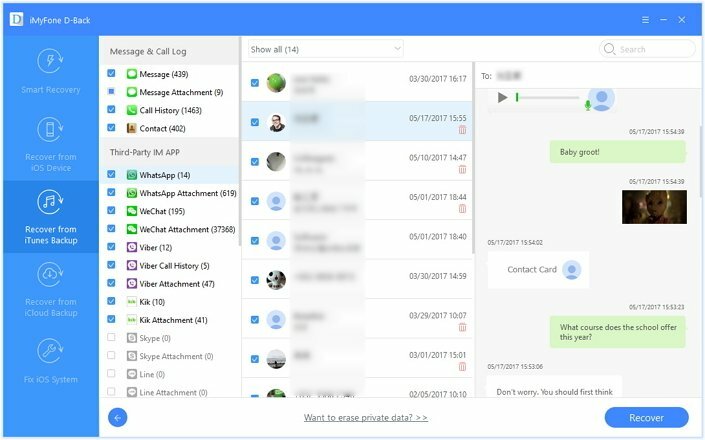 You can also email your WhatsApp chat and read it on your computer in just a few steps given below. Step 1. Open WhatsApp and select the conversation you need to save. Step 2. Choose the Contact’s name or subject of the group in the navigation bar. Step 3. Tap “Email Conversation”. Choose if you would like to attach media or email only the conversation. Step 4. Enter the email address and tap Send. The chat history will be attached as a file with .txt extension. Step 5. Log in to your email account on computer or iPhone and you can view the chats in email. It is very simple to email the WhatsApp chat from your iPhone and to view it on your computer. However, you have to select each conversation or group chat and then send the mail. It is a time-consuming task. With the help of iMyFone D-Back, you can selectively of fully export the WhatsApp conversations and attachments in just a few minutes. It also allows you to view the chats before exporting. 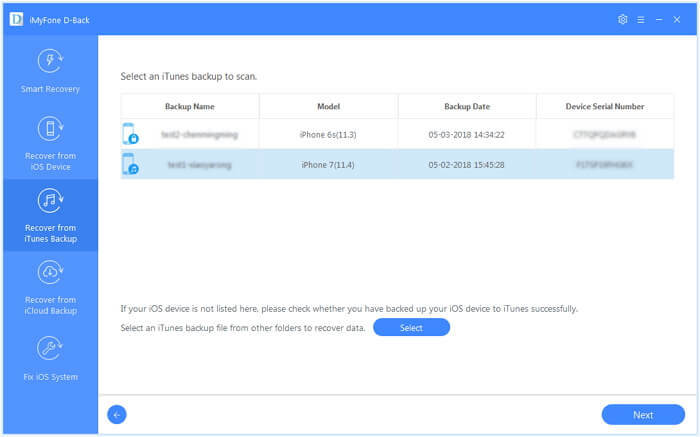 Apple allows you to back up your device’s entire data through iTunes Backup. Here are two methods related to iTunes. You can use D-Back for exporting WhatsApp chat from iTunes Backup in simple steps given below. Step 1.Open iMyFone D-Back and select “Recover from iTunes Backup” tab on the left. Click “Start”. Step 2.All the iTunes backups will be displayed. Choose the appropriate one that you need and click “Next”. Step 3.Select “WhatsApp” under Third Party IM App and click “Scan”. Step 4.All the WhatsApp conversations will be displayed after the scan. You can preview them and select the ones you want to export. Press “Recover”. You will be asked to choose the desired folder to save the WhatsApp chats. After the process gets completed, all your WhatsApp chats will be exported to computer. Using iTunes you can restore the backup containing WhatsApp chat, which is another way to export WhatsApp chats from iPhone backups of iTunes. Step 1. Open the latest version of iTunes on the computer. Step 2. Connect the iPhone using a USB cable to the computer. Enter password if asked. Step 3. Your device will appear in iTunes when you connect. Select your iPhone. Step 4. 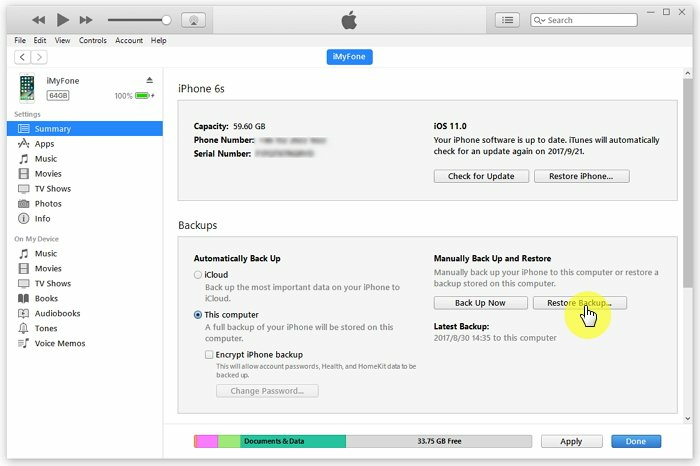 Choose “Restore Backup” under Backups. Step 5. Select the most relevant backup and click Restore. Step 6. 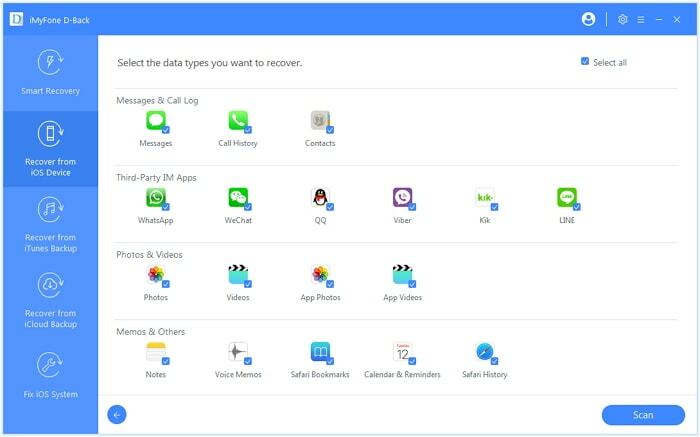 After the Restore is finished, all the data of your iPhone including WhatsApp chat data will be restored. The device will restart. Keep it connected and wait for it to sync with the computer. The official iTunes backup allows you to restore all the data of your phone that includes WhatsApp chats. But you will not be able to view any of them before restoring. iTunes backup also replaces the entire data after restoring. So if you choose a wrong backup, you will encounter a bigger problem. Using D-Back, you can view and select only the WhatsApp chats you need to export. There is no data loss during this process. You can use either official method or advanced tool for iCloud to export WhatsApp chat. iMyFone D-Back allows you to export WhatsApp chat from iCloud backup in just a few steps. Step 1.Open iMyFone D-Back and select “Recover from iCloud Backup”. Click “Start”. Step 2.Sign in to your iCloud account using your Apple ID and password. 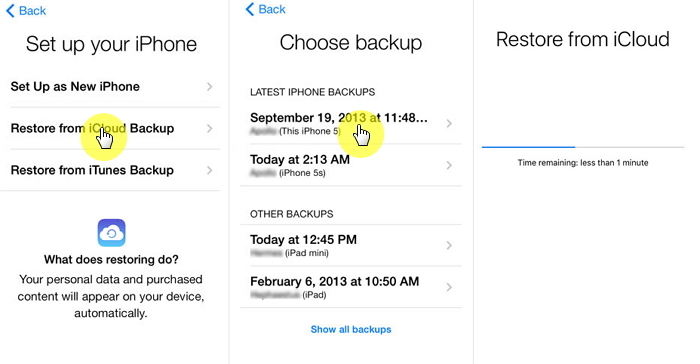 Step 3.All the iCloud backups will be displayed. Select the most relevant backup and click “Next”. Step 4.Select “WhatsApp” under Third Party IM App and click “Scan”. Step 5.All the WhatsApp conversations will be displayed after the scan. You can preview them and select the ones you want to export. Press “Recover”. You will be asked to choose the desired folder to save the WhatsApp chats. After the process gets completed, all your WhatsApp chats will be exported to the computer. Step 1. Open Settings and go to “Apps & Data” on your iPhone. Tap on “Restore from iCloud Backup”. Step 2. 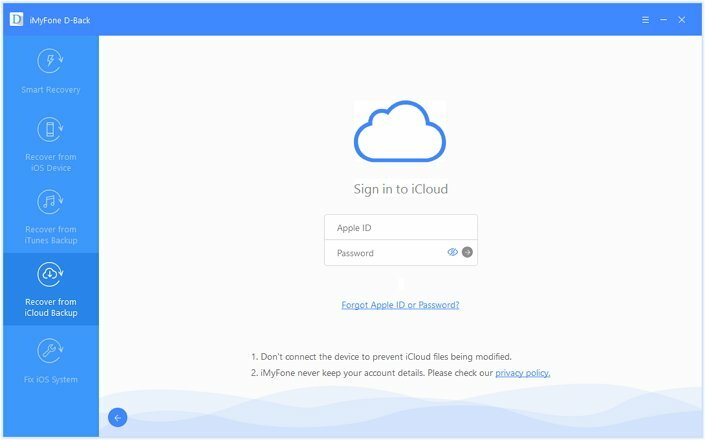 Sign in to an iCloud account using your Apple ID and password. Make sure you are connected to a Wi-Fi network. Step 3. Select the most appropriate backup after seeing its date and time. The transfer will begin as soon as you select. Step 4. Sign in to Apple account to restore the apps and purchases, if any. Step 5. The device’s entire data including music, photos and other information will get restored once the process finishes. Even the WhatsApp data will be restored from the iCloud backup. 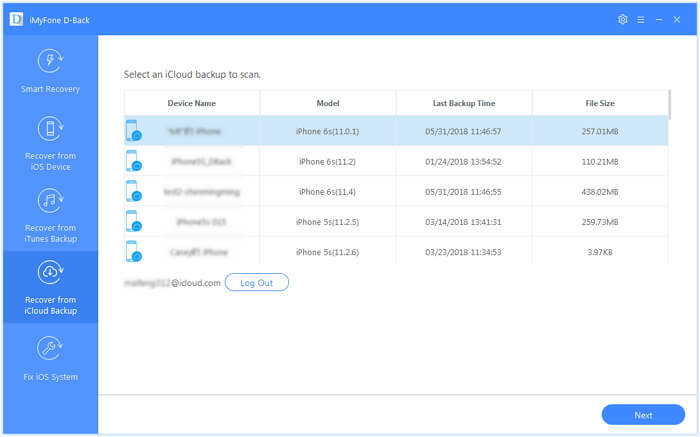 The iCloud backup can be useful to restore the entire data of your phone. But for that to happen, you have to create a backup on a regular basis. If you just want to export WhatsApp, we are sorry to tell you that you cannot make it with iCloud. Using iMyFone D-Back, you can export the WhatsApp data very easily and quickly. You can preview all the chats before exporting and also select only those chats you want to recover. All possible methods are explained above. You can check all of them and choose the one you trust to export WhatsApp chat from iPhone. Feel free to add comments below to tell us the method you have used or if you have any other method, let us know.